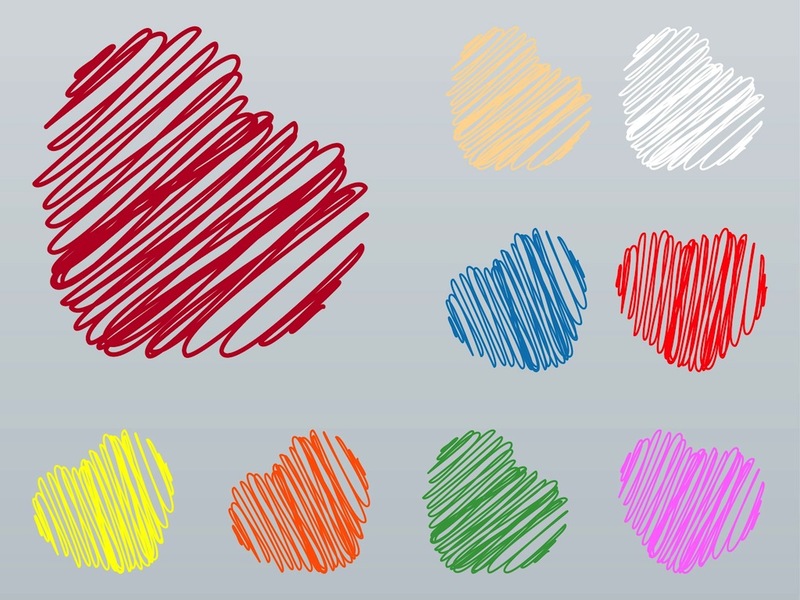 Vector graphics of hand drawn hearts in different bright colors. Scribbled lines with rounded corners, curves and loops forming the romantic shapes. Free vector graphics for all your Valentine’s Day greeting cards, logo templates, stickers, decals, clothing prints, icons and badges projects. Tags: Card, Hand Drawn, Hearts, Icons, Romance, Romantic, Valentine.